Hocknulls Homefire Isle of Wight. Homefire generates a lot of heat and leaves behind very little ash. 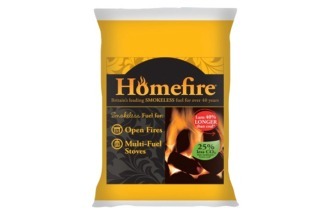 It combines all the traditional qualities of a real fire, is slow burning and easy to control. What’s more, it produces a fraction of the smoke and less carbon dioxide than coal.